The people over at Empire have just released the first, UK, 1-sheet poster for the upcoming Tintin feature. Not only do we have a look at the poster, it is rumored that tomorrow we will see the first trailer as well. 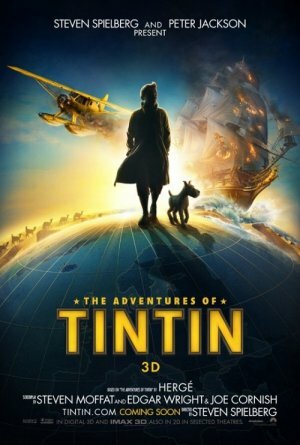 Tintin is a intrepid young reporter whose relentless pursuit of a good story thrusts him into a world of high adventure where he's matched up against the nefarious Red Rackham. The Adventures of Tintin: The Secret Of The Unicorn will hit the UK on October 26, 2011.